One of the most popular myth in the process of job search is that cover letters are not important. The reality is that most of the recruiters expect a cover letter when they receive a job application. And, the absence of one is sheer disappointment to them. Recruiters see cover letters as a way of get to know you better. Like the resume, it is a crucial document and requires similar time and effort. It is important that your cover letter makes you stand out. 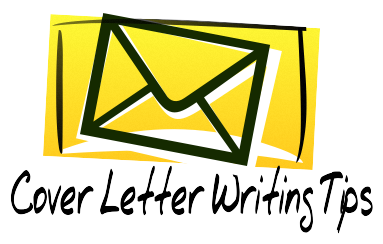 Avoid the template and write a personalized cover letter. Here are 4 ways to make your cover letter stand out. The most common mistake that people make is to respond without reading. The main aim of your cover letter is to make the employer feel that you are the best fit for the job. The way to do this is by thoroughly reading the job descriptions and adding your skills according to their requirements. They will list what they need and accordingly will look for applications fulfilling their criteria. You need to be sure about every fact that you include in your cover letter. Show off your smarts by searching about the company and displaying the same attitude in your cover letter. The best way; show your understanding towards the company and its cause. You are a problem solver. Just do not include the phrase but show it by how you can add to the company value by including an idea or two in the cover letter. This is can push you over the edge. Your cover letter should be personalized. For example at places like your company or the position, use the name of the company and similar things. Avoid using generalized statements when addressing the cover letter. Find out the HR or the name of the hiring manager and directly address the cover letter. The conclusion lies that your effort for a particular job should reflect in your cover letter. It is ok to spend some more time on your cover letter, if it can grab you an interview. It is also ok to spend a few bucks on professional resume services as they help you find the right job in the right way.